It's the best time to learn scuba diving and freediving! (SPOT.ph) It's been said time and again that the Philippines is home to some of the best diving spots in the world. In fact, U.K.-based Dive Magazine—a well-known publication about scuba diving—has listed the Philippines among the "Best Places in the World to Dive." They even named nine spots in the country as their favorites, from the Tubbataha Reef in Palawan to Apo Reef in Mindoro. But of course, we wouldn’t want to just watch these colorful reefs in documentaries or read about them in magazines, right? 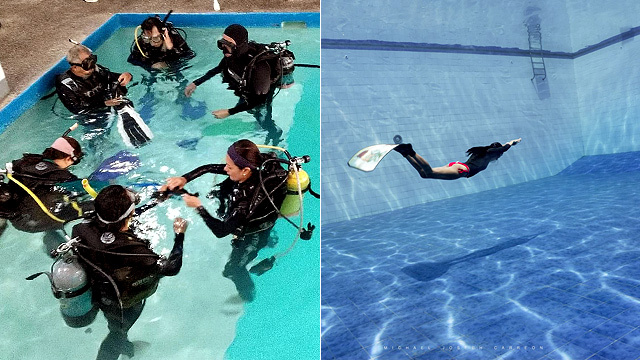 There's a number of scuba pools in Metro Manila where you can learn all about scuba diving (diving with a breathing tank) and freediving or skin diving (diving vertically and learning to hold your breath). After these sessions, you’ll be ready to explore the deep. Open from Monday to Friday, 12 p.m. to 9 p.m.; and every Saturday, 12 p.m. to 6 p.m.
Tucked in a quiet neighborhood in San Juan, Scuba Studio’s 20-foot pool—the deepest in the Metro—would make you want to learn diving ASAP. Don’t worry, there’s a shallow end (four feet) in case you want to take it slow. 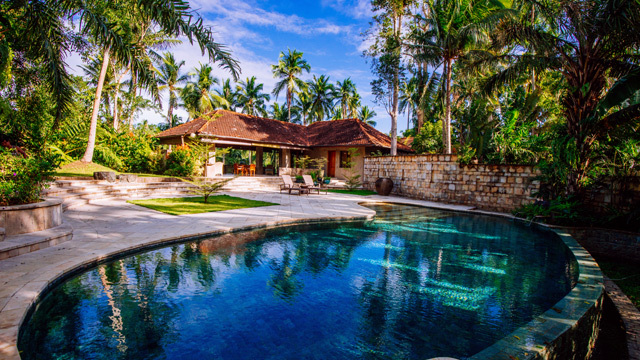 You can sign up for certification courses courtesy of their in-house team or enroll in classes provided by third-party organizations like Manu-Mano Diving or Reef Nomads. It also has everything you need if you want to invest in your own diving equipment, from top-of-the-line wetsuits to booties. Since Scuba Studio started out as an underwater photography and videography provider in 2015, they also sell underwater cameras, waterproof housing, and high-powered lenses. How to get there via public transportation: Ride a jeepney bound for Rosario-San Juan and get off at J. Abad Santos. Walk for nine minutes to Scuba Studio. 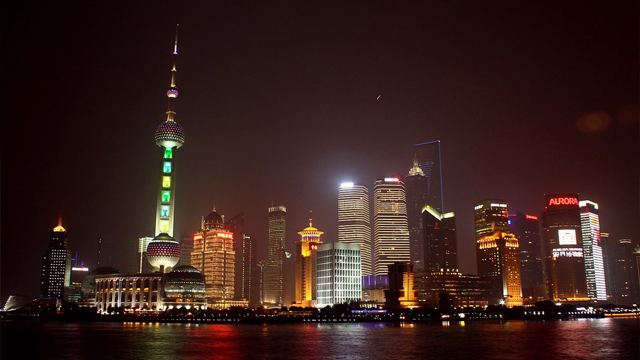 Open from Monday to Friday, 9 a.m. to 8 p.m.; and every Saturday, 9 a.m. to 7 p.m. If you're a big fan of scuba equipment by Italian-based manufacturer Mares, then their Philippine branch in Makati should be on the top of your list. They have their own 14-foot diving pool, which has a four-foot ledge on the side and an interesting glass window at the bottom. Say hi to fellow swimmers and divers shopping for their gear below while you're brushing up on your duck-dive move. How to get there via public transportation: Mares is a five-minute walk from the bus stop at Gil Puyat Avenue corner Mayapis Street. 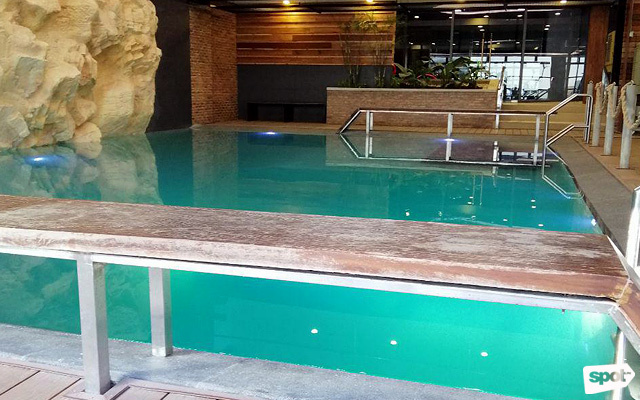 Unlike PhilSports Arena's Olympic-sized swimming pool that can be accessed by the public with a 60-peso entrance fee, entry to the 15-foot pool requires a group reservation for at least 20 people. So round up your friends who want to practice freediving and secure a permit from the head office. You can also write a letter of request indicating that you’re training with one of the sports center’s in-house swimming coaches. Processing takes up to three weeks, but the effort's worth it since the papers are valid for a month. The deep pool also has a diving tower. How to get there via public transportation: Ride a jeepney bound for Binangonan or Antipolo from EDSA-Shaw. Open from Monday to Sunday, 6 a.m. to 10 p.m.
Celebrity Sports Plaza has an Olympic-sized swimming pool with a small 10-foot diving area. Their facilities are exclusive for members of the Club (P2,000/month), but if you come with a card-holding friend, then consider yourself lucky. Unlike fully equipped dive centers, there's no rental for gear but you can practice your finning technique if you have your own equipment. How to get there via public transportation: Ride a bus bound for Fairview or Lagro and get off at Commonwealth Avenue near Calderon Compound. 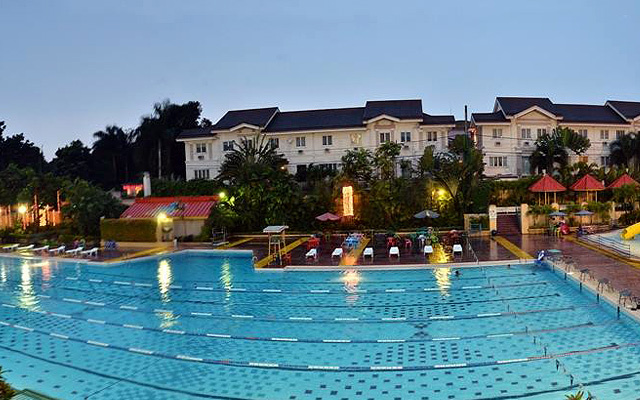 Celebrity Sports Club is a 15-minute walk from the service road. Open from Monday to Friday, 11 a.m. to 5 p.m. If you're looking for a tried and tested diving center, Divenet Philippines in Quezon City is your best bet. It was founded in 1989 by Hernel Castillo, a certified course director by the Professional Association of Diving Instructors. 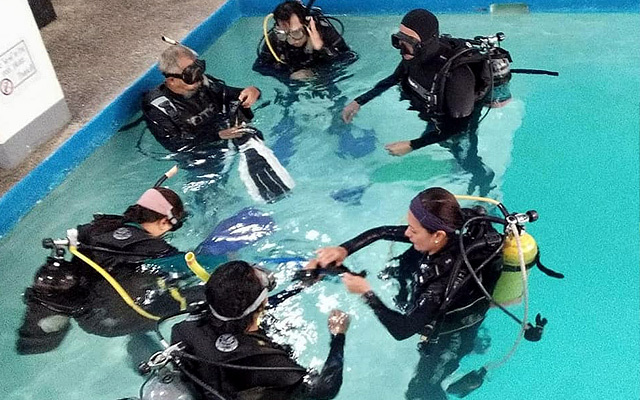 You can sign up for a variety of Professional Association of Diving Instructors (PADI)-approved diving courses, including Emergency First Response, Open Water Diving, Night Diving, and even Underwater Videography. 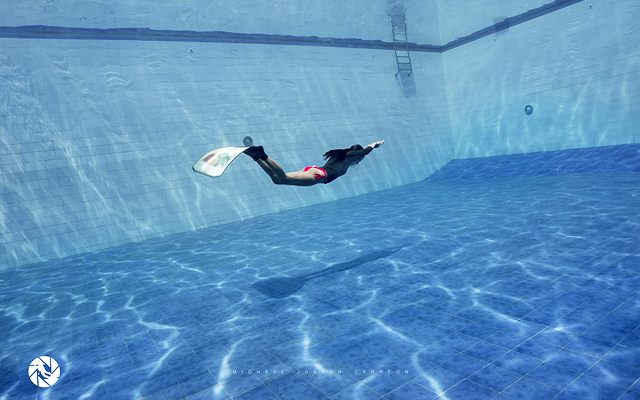 You can also enroll in a certification track for freediving. 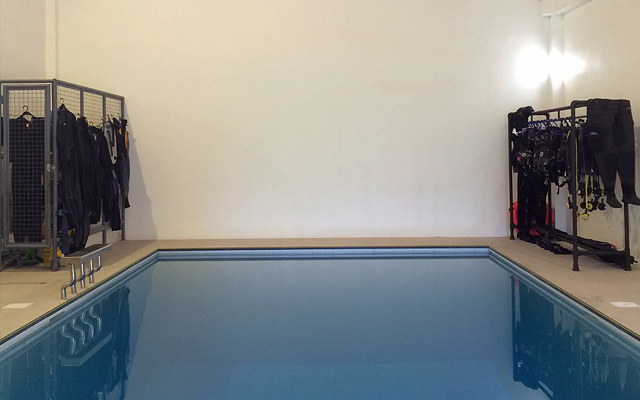 All sessions start with the basics in their 14-foot dive pool. How to get there via public transportation: Ride a jeepney bound for Project 4-Kalantiaw from Cubao Jeepney Terminal. Open from Tuesday to Sunday, 10 a.m. to 10 p.m. The Upper Deck in Ortigas isn't only for the gym buffs, cycling addicts, and yoga enthusiasts. It's also the home of Plunge Dive Club, which has a pool of varying depth that's perfect if you're just starting to get comfortable in deep water. There's a four-foot wooden platform on one corner, which leads to a series of ramps; then finally, to a 15-foot depth in the middle of the pool. 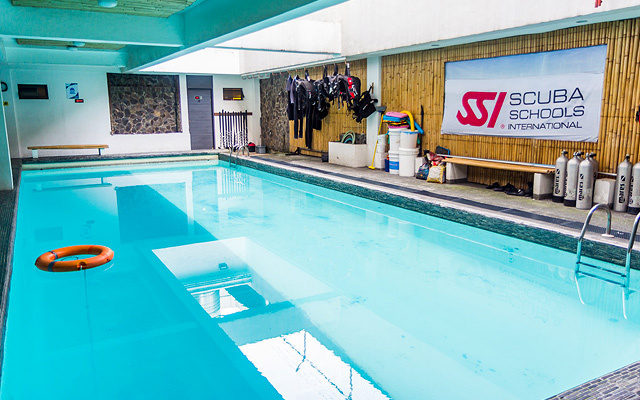 Aside from in-house classes on scuba diving (P6,500), you can also sign up with Swim Central for lessons on survival swimming and freediving. You can also pay for a whole day of unlimited freediving at P500, or a four-hour scuba dive session with gear and tank for P1,500. Lockers with built-in locks, shower cubicles, and toilets are available within the diving center. How to get there via public transportation: Ride a jeepney bound for Tanay or Antipolo from EDSA-Shaw. Get off at Meralco Avenue and walk towards The Upper Deck.